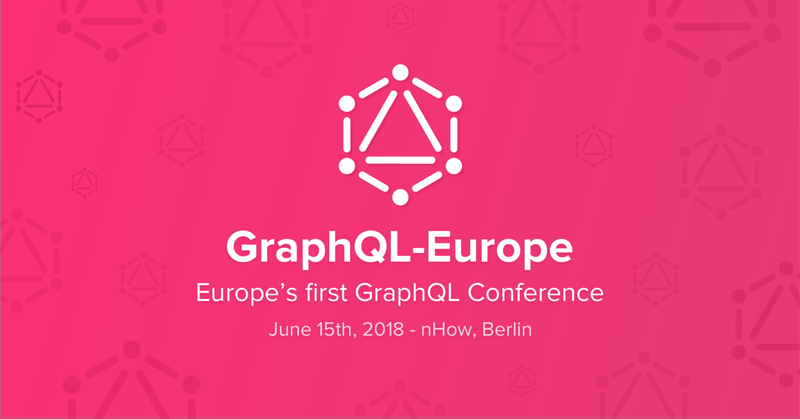 If you haven’t heard year, the GraphQL Europe 2018 conference is happening on June 15 in Berlin. It is the biggest gathering of GraphQL enthusiasts right in the heart of Europe. It is a unique opportunity to meet other developers working with GraphQL, share your own experiences with it and talk to experts from top companies like Facebook, GitHub, Twitter, Prisma, Docker, Coursera, Shopify, Medium (… and many more) that are all using GraphQL in production. 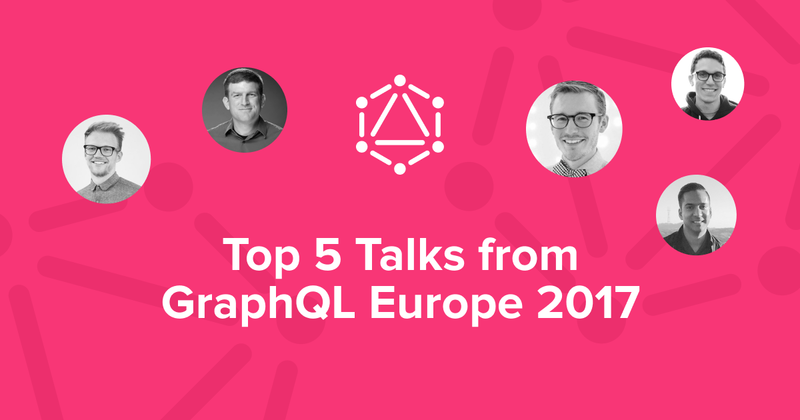 In this article, we’re taking a look back at last year’s conference and present the top talks to get you a glimpse of what to expect at GraphQL Europe 2018. Learn about the conference schedule in this article or check it out on the website! When Facebook first started using GraphQL in 2012, “Client GraphQL Infrastructure” meant smashing strings together for the query and a simple JSON parser for the response. Since then, Facebook has developed app-wide SDKs, simplifying how client developers build the entire client based on core principles of GraphQL. From client caches to pagination abstractions, from cross-platform toolchains to generated models, Facebook’s client SDKs have evolved over the last five years to support hundreds of developers and thousands of queries across dozens of apps, and the evolution of these clients has informed the evolution of GraphQL itself. This talk will presents the lessons learned from those developments. What abstractions worked, and which ones are now regrettable? How did the evolution of client abstractions inform the development of GraphQL itself? When beginning to use GraphQL on a new client, what are the best practices to ensure developers move as swiftly as possible? GraphQL is not just a great way to query data from your server but also an incredibly expressive format to describe the data model of your domain and application. In this lightning talk, you will see how you can use GraphQL IDL as the foundation of your application and leverage the schema definition as a contract between teams. In this talk, Lee Byron gives a summary of the development of GraphQL since they have published the official specification. This talk is full of gems, interesting insights and learnings about how GraphQL came to be. It’s been a little over a year since GraphQL was first introduced into GitHub’s codebase, but a lot has changed since that first commit. Today, all of GitHub’s new features use GraphQL internally to access data and a public GraphQL API is available for any user to query across the platform. In this talk, Brooks Swinnerton discusses why GitHub made the decision to create a public GraphQL API and the things that they’ve learned along the way with respect to authorization, schema design, and tooling. But the interesting challenges of a public GraphQL API aren’t limited to your codebase; Brooks will also discuss some of the ways that GitHub is working to introduce the new world of GraphQL to its users and integrators. We can learn a lot from organizations such as Facebook and Apollo in terms of how to work with Realtime GraphQL but how does it work for most of us? What can we learn from a product company iterating fast on new features at scale? And perhaps most importantly, did GraphQL work for Mainframe opposed to going with some other technology? Taz provides an overview of Mainframe’s client-side stack and how they’ve tackled cyclic data requirements while ensuring that events from the server aren’t dropped while the subscription is being set up, in addition to the Erlang based server-side stack and how it is optimized for often repeated fragment fetching while handling a large volume of subscriptions at scale. We’re welcoming speakers and attendees from all kinds of backgrounds, GraphQL newcomer or veteran! Like last year, we also offer a opportunity ticket program to support attendees from groups underrepresented in the tech community. It is extremely important to us that GraphQL Europe is an inclusive event that becomes a great experience for everyone! We do not tolerate any sort of discrimination or harassment based on gender, gender identity and expression, age, sexual orientation, disability, physical appearance, body size, race, ethnicity, religion (or lack thereof), or technology choices! For more info, read our code of conduct.